Tiki taka. Tiki taka. Oy, oy, oy! It’s time to don your lederhosen and celebrate Germany’s most delicious (and debaucherous) event, Oktoberfest! To get you started, we’ve found some of the most amazing German recipes, thematic DIYs, and more. Say “auf wiedersehen” to traditional cuisine and take a culinary journey with us. If you’ve ever been to Hofbräuhaus in Munich, Germany, you can’t have missed the pretzels. 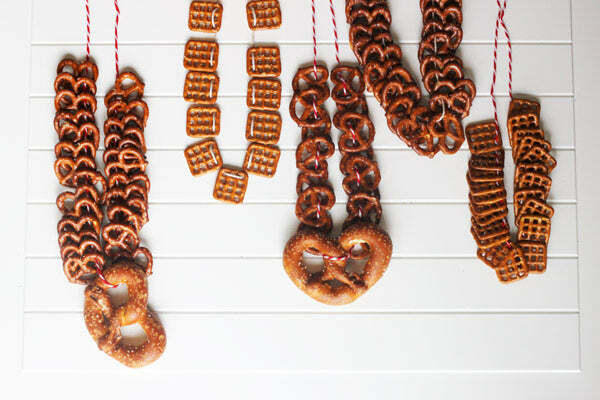 Aside from the gigantic steins of fresh beer, are big-as-your-head soft pretzels. We spared you the twists and turns in this recipe, but left out none of the flavor. If you’re planning on having an Oktoberfest celebration and want it to be authentic, you must include these buttery, salty soft pretzel sticks. Serve them when they’re warm from the oven with a bowl of mustard for even better flavor. If you like ’em sweet, here are some covered in chocolate and sprinkles. Apple strudel is the to Germany what apple pie is to America. They’re very similar, just in different form. This flaky crust envelops soft, warm, cinnamon-y apples in a log shape instead of in a pan. What makes it a strudel is the sweet icing that goes on top. Apple strudel is delicious any time of the day—for breakfast, and afternoon snack with tea, or dessert with ice cream. Top of your incredible Oktoberfest by baking up an apple strudel to serve to guests. When you walk into a biergarten, you typically see beer maids, Bavarian décor, and German flags. 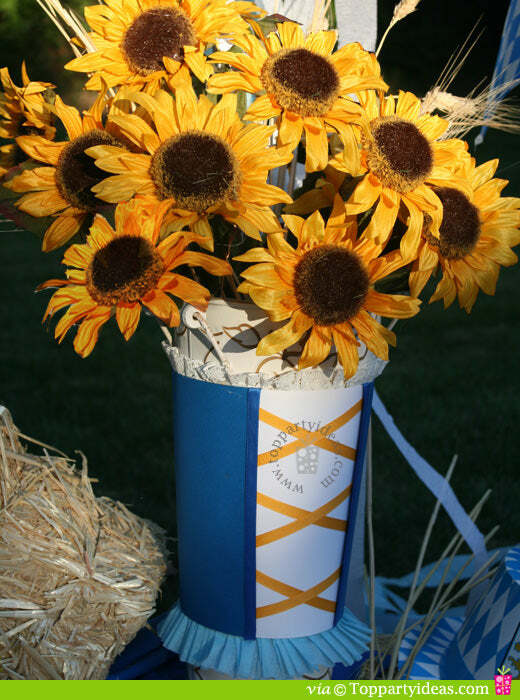 Add some oomph to your Oktoberfest party by making this beer maid vase. It can be done simply with construction paper and some ribbon or more elaborately with fabric. Use any cylindrical vase and gussy it up. Then, fill with autumnal flowers like sunflowers for a festive look. While the Reuben didn’t get its start in Germany, it did immigrate from there. German expat, Arnold Reuben, created this now famous sandwich when he opened a deli in New York City. Traditionally, this is a heavy sandwich—featuring sauerkraut, thousand island dressing, corned beef, mustard, and rye bread. However, this appetizer crostini version is just the right size. It packs a ton of flavor and complements Belgian beers. There’s hardly a richer or more mouth watering dessert than German chocolate cake. 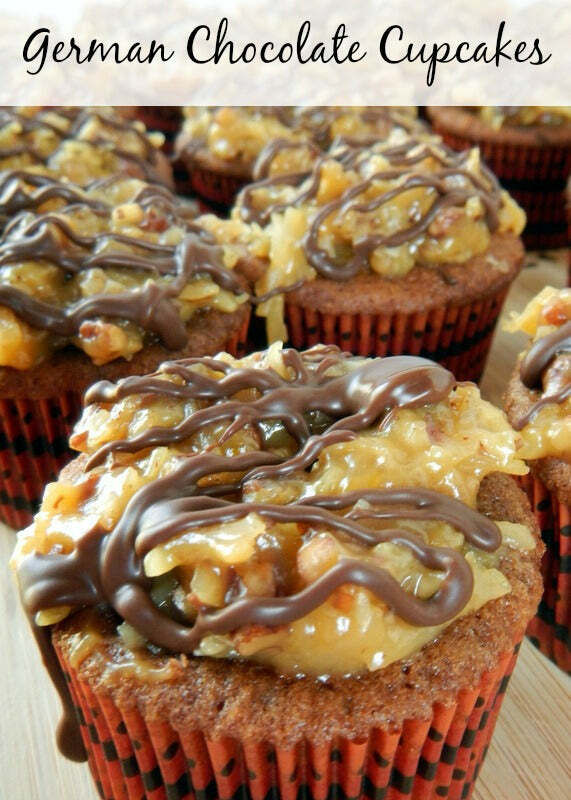 Well, except these German chocolate cupcakes. With rich dark chocolate, brown sugar, and coconut, these cupcakes are an explosion of decadence. Paired with other heavy German food like bratwurst and beer, you’ll be happy this patriotic dessert has been miniaturized. The baker here did a wonderful job, but we think these would look even better wrapped in German flag cupcake liners or in black, yellow, and red. Schnitzel is fun to say and so amazing to eat. Essentially, it’s a German cutlet. 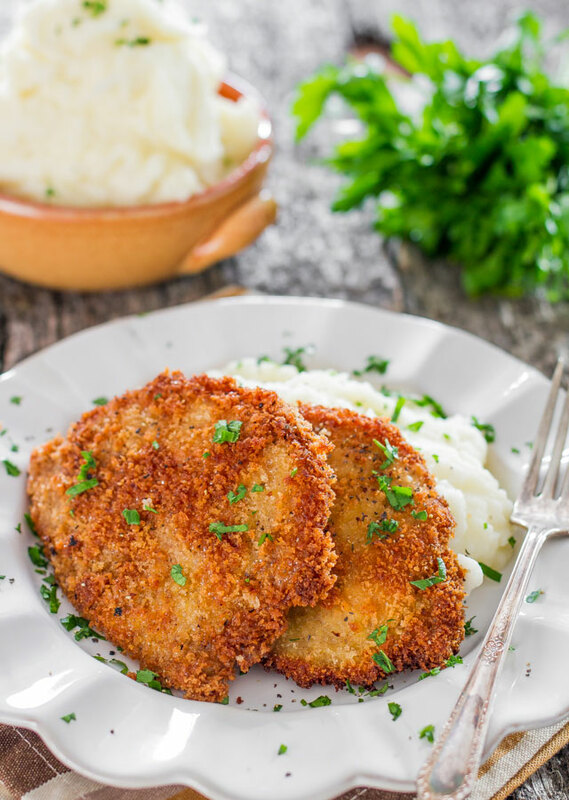 Thinly pounded pork is breaded and fried and most often times served with potatoes and vinegar. Just get ready to use some muscle. The key to a great pork schnitzel is its thinness. Pound each piece of meat to a thickness of one quarter inch, then bread it in your favorite blend. To remove excess grease, rest each cutlet on a plate with paper towel once it’s cooked. It’ll soak up oil and leave you with a crispy, flavorful cut of meat. The American shotski is an adaptation of the German schnappski. This wooden ski was originally affixed with shot glasses so that party goers could all take a swig of schnapps together. Today, bartenders fill it with everything from Jägermeister to Fireball and more. If you want to throw a crazy Oktoberfest party, you should make one of these shotskis. It would be awesome if you have a vintage, wooden ski laying around, but if not, don’t worry. You can easily use a board and taper one end to look like a ski. Just make sure you drink responsibly! In Germany, you can find sausage carts all over the major cities. You can bring a taste of German tradition to your own kitchen with these German potato skins. 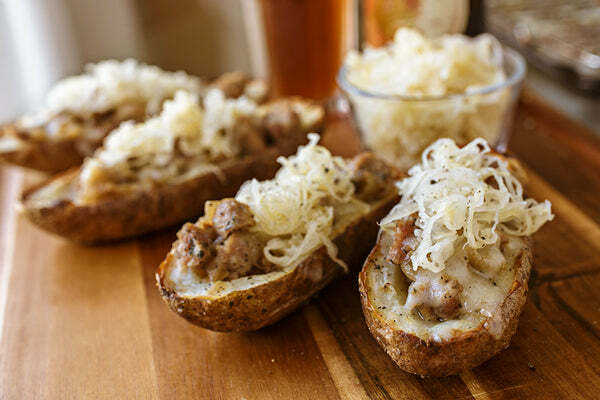 Packed with sauerkraut, bratwurst, caramelized onions, and crispy potato skins, they’re a delicious twist on a classic American recipe. Since pretty much all German food goes splendidly with mustard, you can serve these with grainy, spicy, or Dijon. Another option is malt vinegar to give these savory potato skins an acidic kick. These may look like dinner rolls when they’re in a basket, but once you take a bit, you’ll realize they’re so much more. 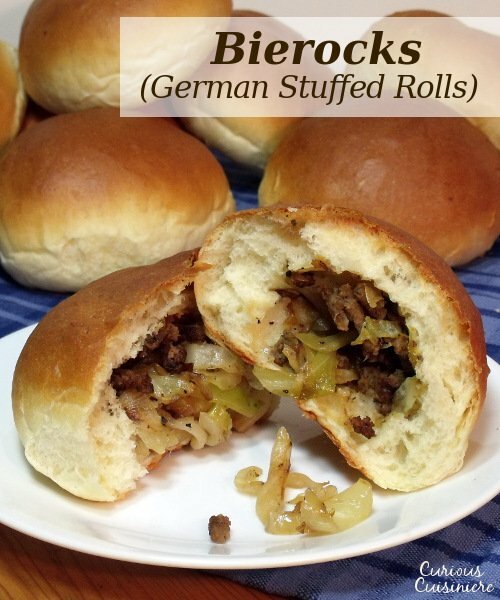 German Bierocks are stuffed rolls that explode with meat, onions, and savory flavor. This is a great menu item to add to your Oktoberfest party because they can be made ahead of time and frozen. When you’re ready to eat them, just let them thaw and warm them up in an oven for optimal flavor. You could include dipping sauces with these too or enjoy them on their own. Spatzel is a German dumpling/noodle that’s normally boiled and then panfried. If you couldn’t guess by that description and the photo, it’s absolutely delicious. This particular recipe uses spatzel and mushrooms to create a fragrant and flavorful dish. Having an Oktoberfest buffet? This is an awesome menu item to include and let guests serve themselves. You can also use different toppings if you think others would like German sausages, chicken, or different veggies better. You saw the DIY beer maid vase above, but this is an even simpler Oktoberfest decoration. If you have German beer steins laying around, you can fill them with water and pop in bouquets. They don’t need to match and don’t require any work. What’s better than that? If you don’t have any steins on hand, but love this look, you can also peruse your local thrift stores to see if you can find any. Or, check out Etsy or eBay for used mugs. 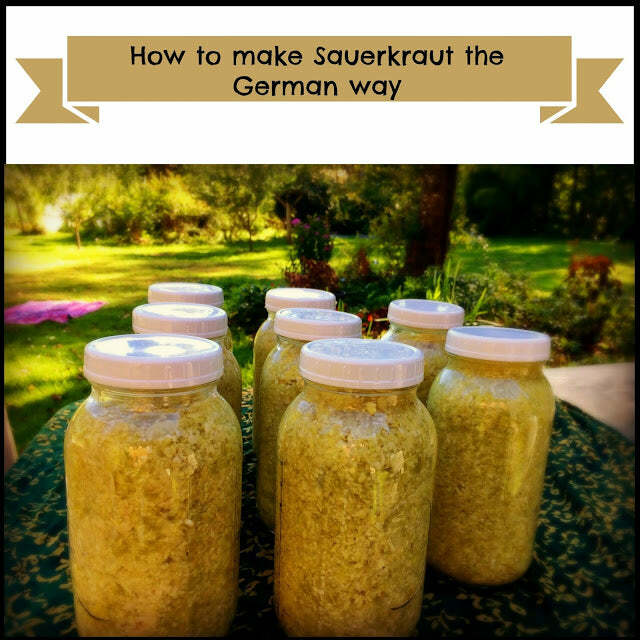 A lot of the recipes we’ve featured here contain sauerkraut. If you’ve never had it, it’s a vinegar based coleslaw. You can find it jarred in stores, but homemade is always best. To help you make it yourself, we found an authentic German technique. You’ll need a lot of cabbage, salt, and time to make your own sauerkraut, but the process itself is simple. Essentially, you’re fermenting the cabbage. It’ll take one to two weeks, so plan ahead!